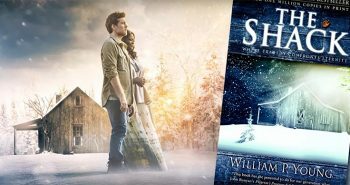 Within a year after its May 2007 publication date, The Shack sold a whopping 1.1 million copies and has dominated The New York Times, Publishers Weekly and USA Today’s bestsellers list. A feature film is even in the works. The popular book can be found in most Christian’s bookshelves, Bible studies, and even Sunday morning services. 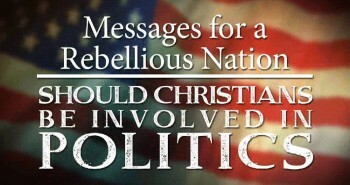 But, is the message of the book Christian? What is your attitude about the book The Shack? 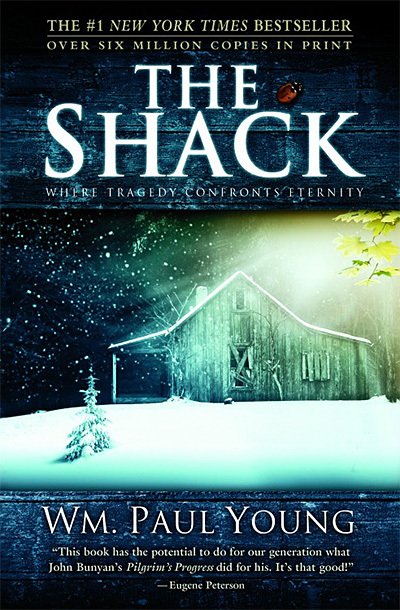 In an era when Christians will defend to the teeth the Harry Potter books, they will see nothing wrong with The Shack. It sounds like I am really down on the Church, but I am for the Church. 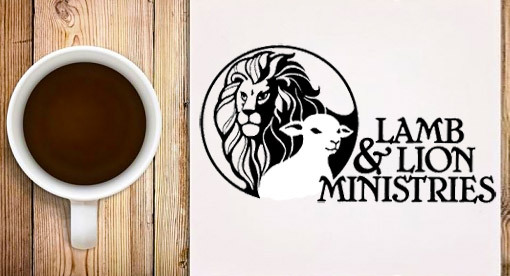 My ministry is to the local church. I go out and speak in the local churches 40 or more times a year, 40 weeks a year. And so, I want to see the church changed and turned around so we will all understand Biblical thinking and get a Biblical worldview in their hearts. The next thing we see, and there are many things but I will just bring out a couple, Jesus is said to be the best way to know Papa, not THE way to know Papa. Very subtle language there. That leaves the door open for Universalism to be the truth that Young is trying to bring out. The third thing is that the author crafts God into the image of a man. It says in Romans 1:21-23 that is forbidden for us to do, to craft God into the image of a man. I know that it is a novel and I realize you can take liberties in a novel that you can’t in some other type of book, but in this case Young is playing with something that the Scriptures speak so clearly about. If you have fallen for the teachings in The Shack and are now not positive that you know the Jesus of the Bible as Lord and Savior, you need to pray a simple prayer and ask Him to come into your heart and then turn from your sin and walk toward Him and follow Him and seek Him. It is one thing to pray a simple prayer, but it is another thing to then turn from your sin and walk after Him. I know when I read in the Scripture that Paul said he was the worst of sinners. I wondered if God know who I was, because I know what I was. And yet, God forgave me of my sins and cleansed me and delivered me. He can change any life, any person. He loves us. He wants the best for us. He is just there for you if you’ll call out to Him and trust in the name of Jesus. Next PostWhat Could It Be? I haven't read this book, but I will say that God definitely speaks in other ways besides just through the Bible and prayer. He doesn't send us notes written in His hand, but He can certainly speak to us in a note written by a human–or a song or a movie or just about anything. After all, He's Lord of ALL, and you can't put Him in a box. As for the other "false teachings," they seem a little iffy to me, but, as I said, I haven't read the book yet. It wouldn't surprise me, though, that God can and does even speak through The Shack!!! Please reserve your comments for after you read the book and after you have prayed for discernment. The Shack is not for everyone. I have read the book and have found it very disturbing. I have researched the life of Mr Young and it is also disturbing. Yes, God speaks to us in different ways, but most of the examples in the Bible have been from before we were given his written Word and the Holy Spirit as followers of Jesus Christ, the Savior. hey laura, JUST BE CAREFUL!! I have to say that I read the shack last October – i had to based on all of the glowing reviews I was hearing from good friends at church, as well as our pastor… Luckily I had also committed to reading the Bible every day beginning that January, so while I don't claim to know the Bible cover to cover, the daily (mostly) reading of the Bible did in fact ignite a flame of desire and reverence for our Lord Jesus Christ – He is so amazing! That to say, I read the shack in one day. Emotionally it IS a gripping story, you feel terribly for the character in the book. BUT, I will honestly say that as I read I became sickened, truly nauseous. This book that was getting such glowing reviews, was NOT talking about THE Trinity. This was NOT the voice of the Father, the Son or the Holy Spirit. The differences in some cases were subtle (Jesus being the BEST way to God), and in other ways out and out lies (God the Father was crucified on the cross with Jesus; we submit to God and He submits to us, and many many many other references). I found myself apologizing to the Father for reading such junk, and in truth I only finished it so that I could be aware of what my friends were saying and how to have a conversation about it. I know it's a work of "fiction" – but so was Divinci Code, and my chuch had a sermon against that one. Why is this one flying under the radar? I guess it's because it "sounds" spiritual; there's lots of "love" and "comfort" wrapped around the lies. I was especially saddened by friends who said this book showed them a new and refreshing way to look at God – new and refreshing I guess because this is NOT God. For me, there is no other exciting and refreshing and passion-inducing Book to read about our Father than the Holy Bible (Mr. Young calls it the "dusty old King James Bible", while the Lord says "The grass withers and the flowers fall, but the word of our God stands forever." Isaiah 40:8). If you haven't read it in a while, pray that the Holy Spirit would open the eyes of your heart and pick it up and read the Real God's letter to you, it's the Real Thing. Sorry this is so long, but I am very passionate about this subject! Come soon Lord Jesus, please don't let any others fall away or be led astray! Amen! I read the book because I was on staff at a Bible school and there was so much hype about it among Christian students there. I found the book very disturbing. The dangerous thing is that the author passes himself as a Christian that was even in the mission field. However, after interviewing others who were in Indonesia with him and his family, I discovered that there was a lot of controversy and ill behavior there and the Youngs were asked to leave. You "can't put God in a box". One of the favorite similar sayings of a female Lutheran "pastor" that used to drive me nuts (and away from that church) when spewing her pro-gay, feminist, liberal, universalist, gender-free gospel crap. I've found that most people who want to take God "out of the box" have an agenda and need to get "out of the box" in order to define "their" God to their own liking to fit that agenda. I read The Shack while waiting for a plane to Israel last year and will give it its kudos for 1) being emotionally gripping (my daughter is the same age as the little girl), 2) challenging my pre-conceived ideas about what the Father and Jesus look or can change to look like, and 3) forced me to think about the usually not dwelled on Holy Spirit. I could deal with God showing up as a woman, though later found out Papa is a Polynesian goddess. The first major alarm to go off in my mind was when Sophie showed up, a fourth part of the Trinity (Quadrinity?). Sophie is the Greek goddess of Reason and Wisdom, and acted accordingly in the book. Gods/goddesses are demons and teach only lies wrapped in half-truths (Jn. 8:44). 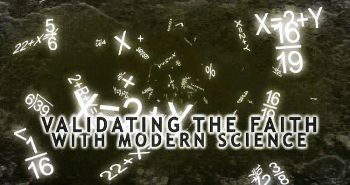 Can God talk to us in deceptive cultic literature? I think the question answers itself. Please name ONE instance in the Bible where God is identified, depicted, etc. in the femnale gender. Also, Gen 1:27 it’s clearly stated both male and female reflect the image of God. Not one, Billy, but if God can show up as a bush, or a cloud, or a pillar of fire – all it's – then who am I to say He can appear as a woman at times. I've got to try and not commit idolatry by picturing him as a giant with a flowing white beard. You're right. God HAS shown up as a bush, cloud, pillar of fire, AND also as a man, Jesus. Then you say " I've got to try and not commit idolatry by picturing him as a giant with a flowing white beard." Tell me, how are you NOT commiting idolatry by picturing Him as a woman then? Is that not the same thing as the giant old bearded man supposition? The point I'm trying to make is I think we should, as you imply in your response, picture God as He HAS been dipicted in the Word and not in any other way. That's all. Not trying to pick a fight. I was merely "reading" Him as a woman, Billy, not picturing. I'm confused Nathan. You said "Can God talk to us in deceptive cultic literature? I think the question answers itself." I believe your answer would be no based on everything else I have read of your posts. But you did give it a kudos for "challenging my pre-conceived ideas about what the Father and Jesus look or can change to look like…" Aside from your comments to Billy on gender (I am with Billy on that one, not because God has gender but because His revelations of Himself have always been male) I would personally be extremely cautious of any challenges that come from a cultic literature. Even if it had a smidgen of some truth squashed between the cultic garbage. Amen. I am skeptical about anything recommended by the New York Times. I read the book and I found it dusturbing. I could not wait to get through it. I read it because I was alarmed by the fact that there was so much hype about it among the students at the Bible school where I was on staff. These were students who would not get up early to read the Bible and pray with Abba, our heavenly father. As far as how God appears to us, all the examples I keep hearing about are from before we had His word. I pray the Holy Spirit nay give you duscernment about the Shack. A good parallel would be, "If a camel spit in your drink, would you still drink it?" Hopefully most would say "Certainly not!" I feel the same way about any cultic media. They take a fine drink like the Bible and spit into it, making it totally unpalatable. So are you saying you reject the challenge you found in the shack after you saw more of it's real theology and philosophy? Cultic literature is a challenge in discernment on many levels. God could appear as anyone or anything he chooses, but does He? I know someone who's ministry includes giving everyone he can Bill Wiese's 23 Minutes in Hell CD. I have no doubt he is doing so with the utmost sincerity. But if God can cause someone to forget he is Christian, Send him to hell, allow demon's to torture him (must be some kind of award for good behavior for the demons) then take him for a tour of the universe (astral projections?) then why couldn't God appear as a woman? 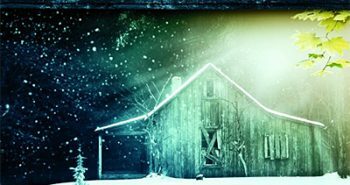 My inclination is that it is extra-biblical at least and probably demonically inspired just like the book "The Shack". Why do they call GOD…God the Father, Abba Father, Call no one Father but Me. I haven't read The Shack yet. I don't know if the local library even has it. But I'm disturbed about referring to God as a Polynesian "goddess", saying Jesus is the best way, and adding a fourth godhead called "Sophie". I read the DaVinci Code shortly after giving my life to Messiah, and I could FEEL God protecting me from the slime in that drivel. I woulod only hope that He (not she) would protect me on this one. If he said he had a vision I might could accept that. Wiese claims he bodily was sent to hell. I haven't read the book but I have the CD and have watched his presentation on the internet. He has lots of scripture and some of it may be correctly interpreted but in the Bible no one ever came up from "Torments". I believe Samuel allowed up by God to confront Saul and Moses and Elijah met with Jesus prior to his crucifixion. But they were not in Torments but in Abraham'z bosom. I think it is very dangerous to go outside what is revealed in the Bible. Just call me legalistic, but if it is Biblical I believe it if not I am skeptical. What is it with Christians? We can't call God papa? Just Father? Because some stupid Polynesian god thinks it's god too? People are taking this way too literal. It's fictional. That's it. But I've seen unbelievers gain an interest in a relationship with the Lord because they want to know the Lord because of his love and his favor for man represented in the book. In the chapter of Sophia, the name Paul Young chose(whether it be a demonic god or whatever), she represents wisdom, and explains why Jesus died for the world. Maybe for the literalists outthere, he should have chosen another name. in either case, Believers and Paul Young are not perfect. But God is. Nobody can change people but God can and He chooses to make Himself known in the weak things of this world. Have Faith in The Lord people. Stop judging everybody.